Monin presents zero calorie natural flavoring syrup. It is the first of its kind, and comes in 6 flavors: vanilla, raspberry, caramel, hazelnut, chocolate, and sweetener. It contains zero sugar, zero artificial ingredients, and zero artificial sweeteners, no GMOs, and of course, zero calories. Enjoy serving delicious, full-flavored drinks with a naturally sweet syrup that has a clean label. Indulge on all your favorite beverages without the guilt of a high sugar and calorie intake with this Monin 750 mL zero calorie natural vanilla flavoring syrup. Perfect for specialty coffee drinks, this syrup promises a sweet, custard-like vanilla flavor with a golden color. Simply substitute any Monin syrup or Monin sugar free syrup for this zero calorie natural flavoring in any recipe for a full flavor and sweetness without the sugar, calories, or artificial ingredients! Made with extracts from Stevia leaves and Monk Fruit, your customers will love knowing their specialty drinks are being naturally sweetened with zero artificial flavors, colors, or preservatives. Packaged in a glass bottle, this flavoring syrup is an excellent addition to any restaurant, coffee shop, or cafe. It boasts a sleek appearance for an attractive shelf presence and can easily be paired with a compatible pump for quick, efficient service during peak serving hours. Since 1912, Monin has had a passion for delivering premium products with quality ingredients that simplify the beverage-making process. Their sense of innovation and creativity has led to a wide variety of flavors and recipes to suit any menu. 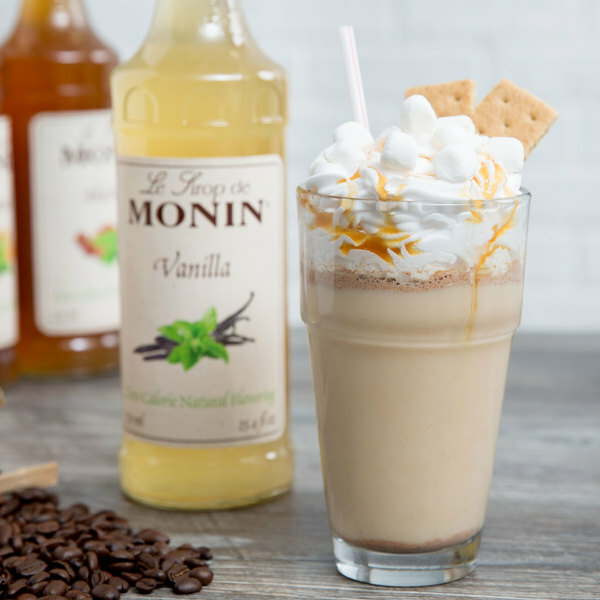 With this first-of-its-kind Monin zero calorie natural vanilla flavoring syrup, there is no need to compromise natural flavoring for zero calories and zero sugar, making it a great choice for crafting superior beverages for guests of your coffee shop, hotel, or cafe! We use this great Zero calorie vanilla at my coffee shop in smoothies because it’s natural and doesn’t add any sugar. It’s also great in Lattes or cold brew. The zero calorie sweetener is great and the vanilla flavoring is super delicious. A great addition to almost anything, but we prefer adding it to cola. A really great syrup--so glad that I gave it a try. It doesn't taste artificial and gives my diet cokes a much needed flavor boost. The only problem is now I drink more of the durn things! 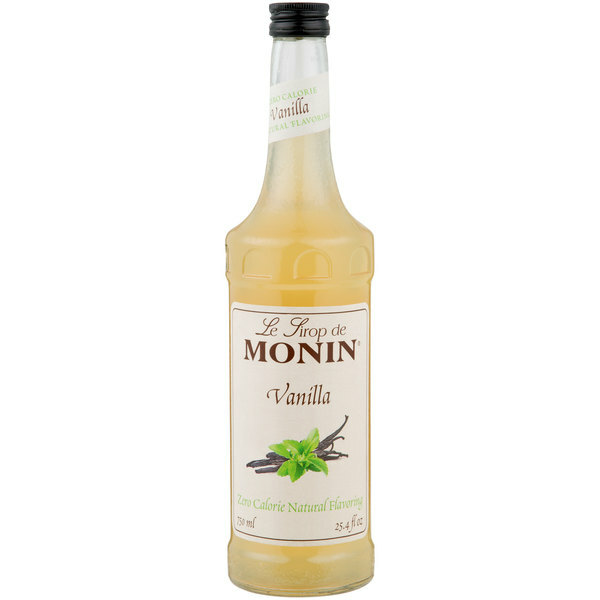 The Monin zero calorie natural vanilla flavoring syrup is amazing. Now we can have yummy vanilla diet cokes and sodas without any extra sugar added in. A nice zero calorie vanilla syrup making a great addition to any coffee or specialty hot beverage. The Monin brand is great and this syrup is rich and creamy just like vanilla syrups should be. 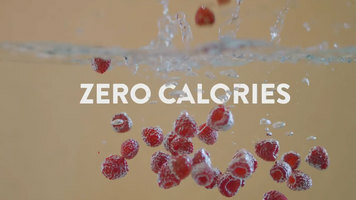 I wish they made more zero calorie syrups. This one tastes a lot better than I had expected it to. I use it all the time now. 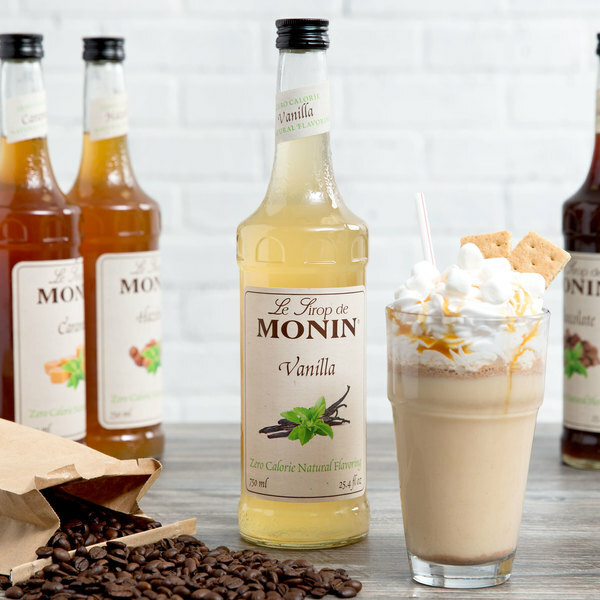 A wonderful quality Monin zero calorie natural vanilla flavoring syrup that is great. It tastes just like the regular vanilla but with no calories so it fits perfectly with my diet.